For 430 and Solara handpieces. Kit contains autochuck cartridge with patented ceramic bearings, and headcap remover wrench. 1-year StarDental warranty. For 430 and Solara handpieces. Contains 4 autochuck cartridges and headcap remover wrench. 1-year StarDental warranty. 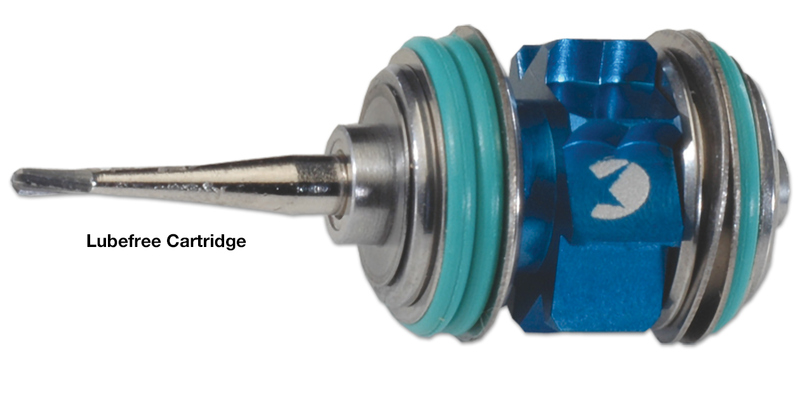 Contains 4 steel bearing non-LubeFree autochuck cartridges for 430 handpieces. 1-year StarDental warranty. Contains: 1 cartridge and headcap remover wrench. 6-month StarDental warranty.